I loved your nose, I loved your toes, I loved you from tip to tail. When I came home, all alone? At the window you waited without fail. Your happy face, that furry embrace, cheered me all the time. Always at my side you were my pride, my reason and my rhyme. From tiny pup, who rode in the cup of my bra when you were small, to faithful friend who was at my side, my partner, through it all. 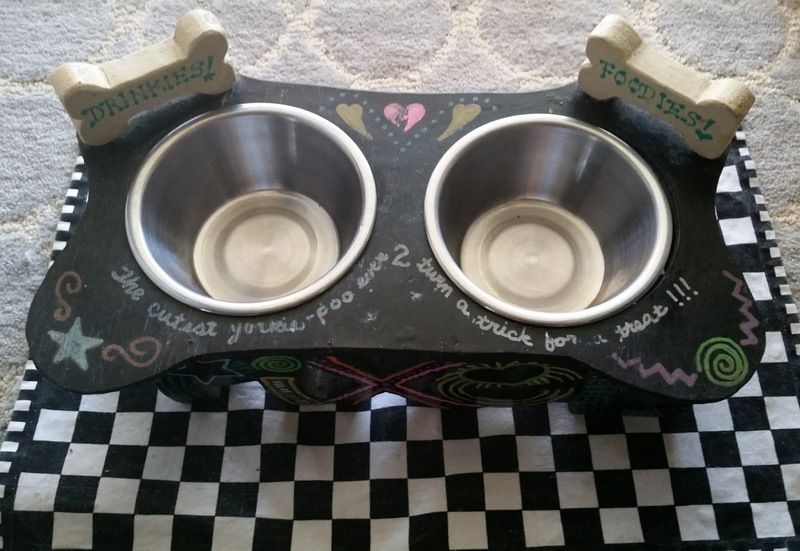 Now your toys lay still, not a squeak or a pip, no patter of nails on the floors to click, no sweet little tail wagging just for me. 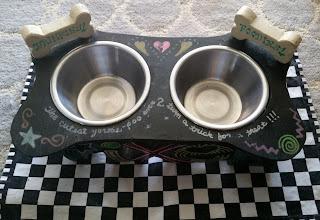 Your bowls are empty, your bed is too, and my heart is broken through. With every kiss or high five, each command I decreed, your willingness thrived to every obedient deed and your trust and faith shone through. You gave without greed, you cared without price, and I knew in my heart no one loved me as much as you. 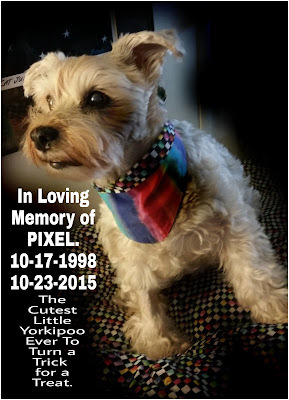 You were my love, my heart, my child, my faithful family. There won't be a day without thinking of you. But you will live on in all that I do from now to Eternity. Rest in peace, my beloved girl. 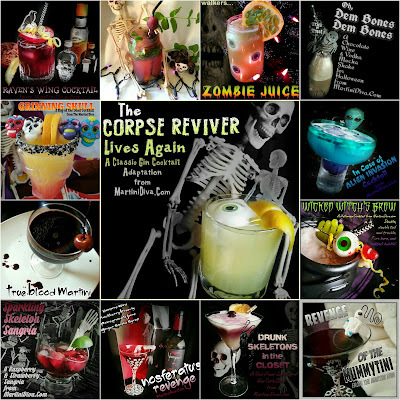 I'm a big fan of Halloween, such a big fan that I've done enough spooky themed drinks to keep you toasting every day of the Halloween season and then some! I've dressed them up in costumes (Halloween garnishes and colors), flavored them with seasonal produce and booze (pumpkin, candy corn, Indian corn and more) and given them a ton of grisly, ghoulish and gruesome love. 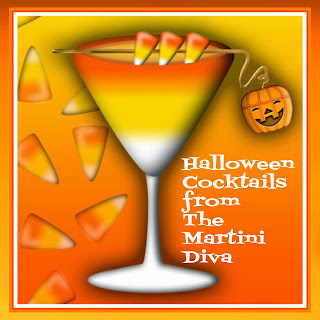 I've even written a Halloween Martinis & Munchies Book that pairs some of my Halloween cocktails with some ghostly grub and horrors d'oeuvres. Yep, I love October 31st, Samhain, ghosts, goblins, ghouls and great gory grogs that celebrate the whole Halloween season. 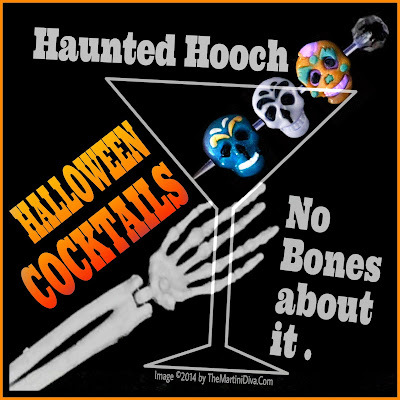 Trust me, these won't be the last, so bookmark this page and revisit each year for my latest spookalicious sips and silliness. I go a little overboard on Halloween booze! 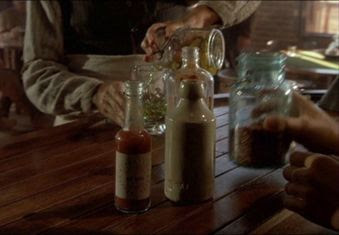 And now, here is your gateway to my boozalicious booze, my graveyard of great gulps and my virtual haunted house of hooch! 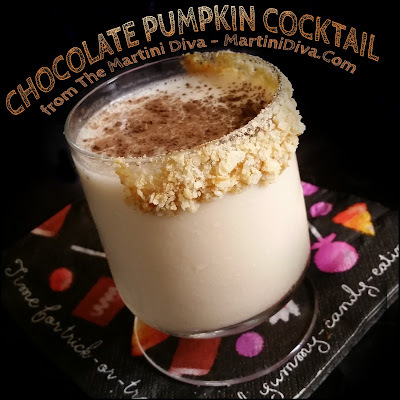 Yes, I did again, I made yet another Pumpkin Cocktail. I can't seem to help myself, at this time of year I migrate towards pumpkin. But this one has chocolate in it! 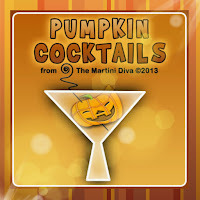 That alone warrants another pumpkin cocktail, doesn't it? And, yes, that's a new coffee bitters in the recipe, Frape and Sons sent me some samples and it was a perfect way to balance the sweetness and accent the chocolate and spices. DIRECTIONS: Brush half the glass rim with the Pumpkin Pie Simple Syrup then dip into the crushed pie crust. Chill your glass in the freezer. 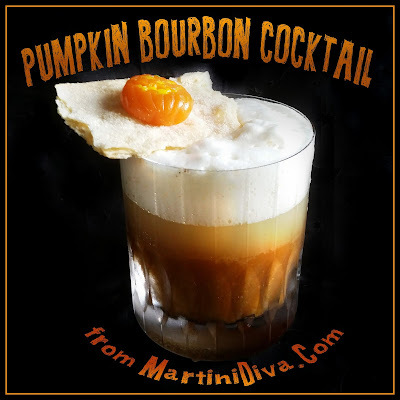 Add a cup of ice to a cocktail shaker, pour in the Quick Pumpkin Vodka, white creme de cacao, half and half and the coffee bitters then shake until well blended and chilled. Strain into your chilled glass. Sprinkle the top with a dusting of dark cocoa powder and serve. Yes, the one in the photo is a double. What can I say? I like pumpkin and I like chocolate. Over a quarter of a century after Back To The Future I, II and III, and here we sit on October 21st, the day Marty McFly travels back to so he can save his yet unborn children. How time flies, backwards and forwards. What did the movie get right? We have hoverboards, almost. We have big screen TVs, but we're still waiting for that pizza hydrator, darn it. 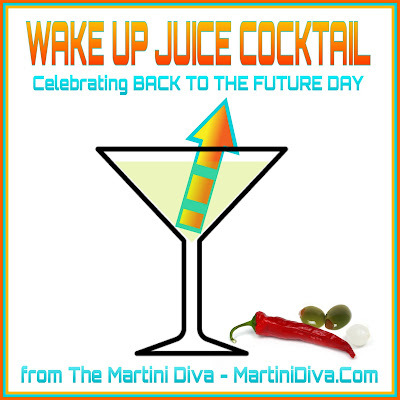 Luckily we don't have to wait for the Wake Up Juice that Doc was given in the bar scene. Here it is, in all it's eye popping glory ... but with a little kick added by using chile infused vodka. Try it, if you dare, it might even kick you back to the future. DIRECTIONS: Chill the glass. Fill a cocktail shaker with ice. Add the chile pepper vodka, green olive juice, Tabasco and the pinch of cayenne then shake until well chilled. Strain into the chilled glass and garnish with a cocktail onion, a green olive and a few mustard seeds and serve. It's that time of year again. Yep, time to make my annual stash of pumpkin liqueur, but because I was busy writing and editing my latest cocktail book, How to Practice the Zen of Cocktails, I forgot to make my yearly batch of Homemade Pumpkin Liqueur in September. So here I sat, the middle of October and no homemade pumpkin booze. 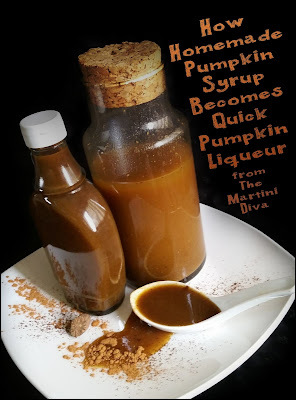 So I looked around for a "quick pumpkin liqueur" recipe and found a great idea over at Serious Eats for making it with homemade pumpkin syrup. The difference between my pumpkin liqueur above and this method is the amount of time required to infuse the liqueur. This method gives you a usable liqueur in a few in a days. This quick recipe does not have the flavor complexity of my original homemade version, but it's pretty darn good for the minimal amount of time required. And, like I always do, I changed their recipe up to suit my personal tastes, using extra vanilla, more pumpkin puree and Schilling's Pumpkin Pie Spice because that is the pumpkin pie flavor I grew up with and love. I also didn't filter it. I really liked the looks and taste of the unfiltered syrup so I skipped that step. If I was going to keep the syrup and liqueur for a few months I'd go ahead and filter it, but I'm going to be using this batch up in the next few days. And, by the way, the syrup is dynamite on waffles with lots of butter and a nice pile of whipped cream! Thank you, Serious Eats, for pulling my cocktail feathers out of the proverbial pumpkin season fire! DIRECTIONS Add all the syrup ingredients to a saucepan and bring to a boil. Immediately reduce the heat and simmer for 15 minutes or until the mixture reduces to a syrup viscosity. Strain the mixture through cheesecloth, bottle and/or use to make a quick infused pumpkin liqueur. You can bottle the syrup and refrigerate it for up to 2 months. You can use Vodka or Rum or Bourbon! Mix together equal parts of the spirit and the syrup. Filter through cheesecloth if you want a clearer spirit. Bottle and store in your refrigerator for up to four months. This is a tequila tweak on my Grapeful Dead Mojito. I had some grapes - again - and thought I'd do a riff on my own cocktail, just for fun. Grapes are good for more than wine. They're sweet and juicy and make a great fruit to muddle in with some booze. 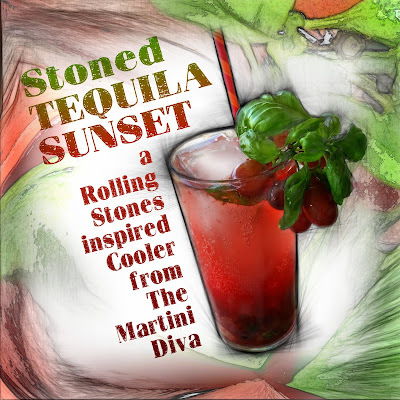 This cocktail was actually inspired by The Rolling Stones and their "cocaine and tequila sunrise" tour (aka the tour for their Exile on Main Street album) in 1972. Bill Graham introduced Mick Jagger to the Tequila Sunset at the kick-off party and Jagger liked it so much he drank it throughout the tour, hence that unofficial name. I just had to go there and dance with the devil, so to speak. 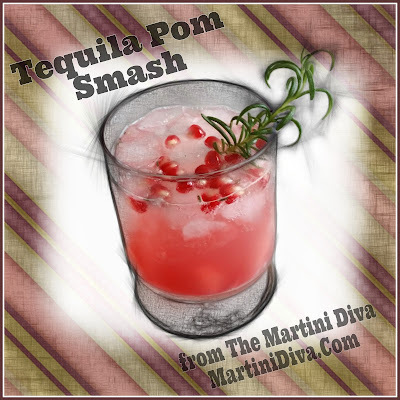 Frieda's sent me a few pomegranates to play with and every time I looked at them I kept thinking, "Tequila", but I'd already done a Pomegranate Margarita so I decided to do a smash. (This also meant I didn't have to pull my juicer out.) A typical smash is made with a base spirit, mint and sugar and served over a nice glassful of ice. I always add some fresh fruit and usually a bit of soda, though neither is a requirement, just a personal preference. While a smash, really just a short form of a julep, is usually made with mint, I wanted something earthy that would contrast with the tart but sweet pomegranate so I chose some fresh rosemary instead. Rosemary plays nicely with tequila and can stand up to its bold essence. Plus rosemary has that fall quality I was in the mood for even though it's still hot here in Tucson. I got the best of both worlds, a tart but sweet refresher that wafted up hints of fall and that special kick that tequila always brings along for the ride. Nice for watching the desert sunset. In your mixing glass muddle the pomegranate arils (seeds), rosemary leaves and simple syrup. Fill mixing glass with ice then add the tequila and stir. Strain into an ice filled Old Fashioned glass, top off with soda and garnish. I used a hawthorn strainer and a few of the small pieces of rosemary leaves came through. I don't mind this, but if you do not want any of the rosemary leaves in the cocktail then use a mesh metal strainer. You'll get enough of the rosemary and the garnish. By the way, I recently read that smelling rosemary helps your memory, so a few of these and you might remember where you left your keys. If you like this Smash you might also want to try my Whiskey Peach Smash.